Dis n Dat band is a combination of all Caribbean styles, formed by husband and wife duo Sista Dee and Rangotan, The Band has toured worldwide as well as all over the U.S. We are a vibe, a feeling, a sound that is original, using the steel pan, percussion and authentic caribbean/african harmonies and grooves alongside conventional instruments. 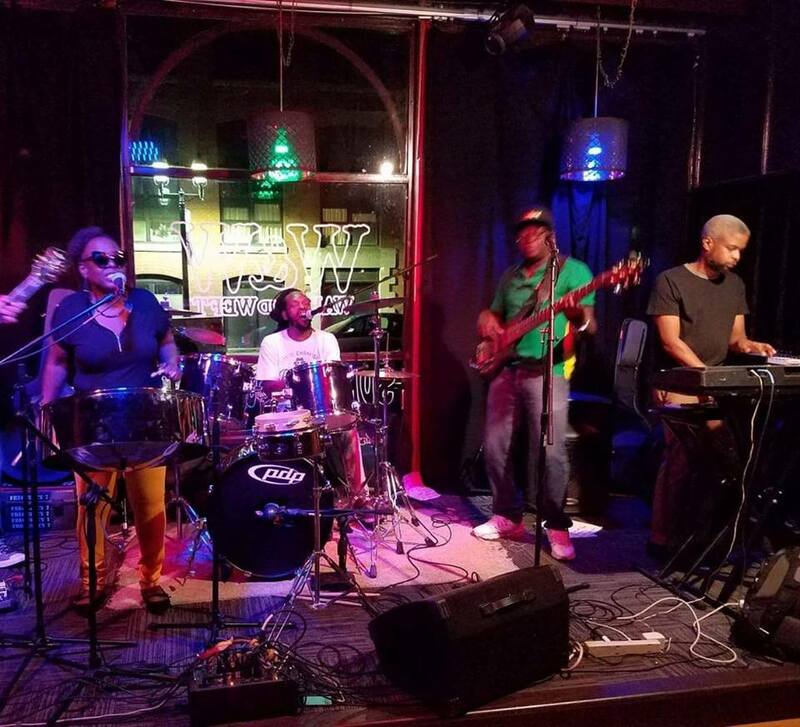 Rangoon brings the original and authentic reggae feel taught to him in Jamaica and while playing with bands like Black Uhuru and playing on major tracks like Tenor Saw’s fever and much more. Sista Dee, a native of Trinidad and tobago, is a steel pan virtuoso, playing all over the world, fluent in several genres of music, and also a professional producer and steel band arranger. Charleston Sarjeant, keyboards, is also an accomplished steel pan player and arranger. With Kiki on vocals and percussion, Jermaine on Bass, and other guest musicians we bring a vibe to any event! If you haven’t already been to a show be sure you make one soon and see what all the fuss is about!